Full disclaimer, my family and I are not 100% zero-waste yet but we are trying to change several habits that are slowly contributing to the demise of our only home, the earth. 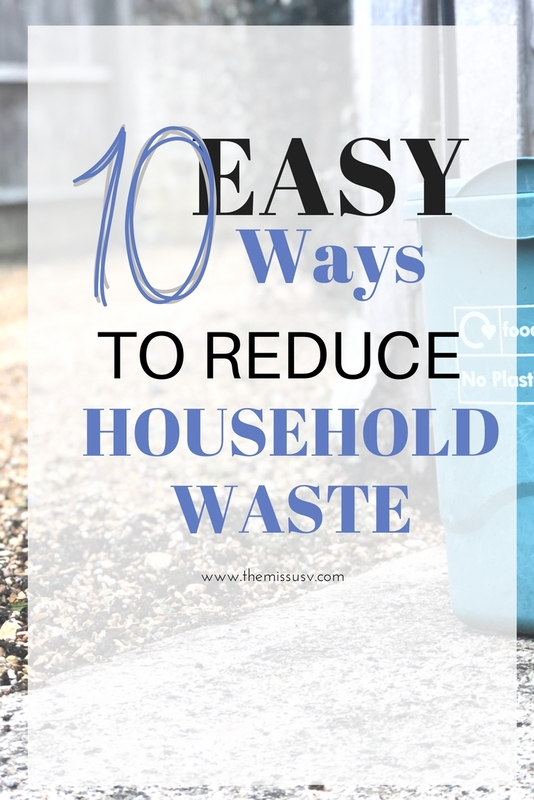 One of the things that we are trying to do is reduce household waste and I am sharing some very doable and easy tips in the hopes that it will encourage others to do the same because I believe that no matter how small an act is, it can create a ripple effect and totally makes a difference. Cebu is a place that my family and I have called home for over 10 years now and every year, the garbage situation seems to be getting worse. I don’t know if you have noticed but even just an hour of heavy rain can already cause floods in several areas in the city! And when this happens, it can be hard to get around due to impassable roads, the traffic becomes more terrible than the usual and our streets turn into repositories of garbage brought by the floods. Since we live in an apartment complex located at the foot of several elevated baranggays, the road in front of the complex would turn into what seems like a very dirty downstream brook every time it rains. The murky water overflows into the streets because the sewers are blocked with trash. There was even one time when my husband had to carry me on his back to cross our flooded street just so I could go to work! Sounds funny, right? A sweet gesture to some but my husband doesn’t think so because his feet were submerged under dirty water! The garbage situation in many parts of the world including Cebu is definitely no laughing matter. We need to do something. I think it takes a village to truly turn things around and if we all pitch in, we just might be able to preserve whatever life we have left on this planet. 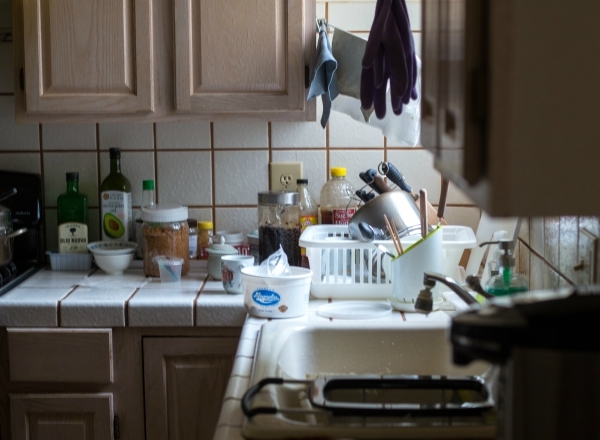 Below are some easy ways that we all can start doing to minimize household trash. 1. Say no to plastic bags – JUST SAY NO especially if you are buying just a few items. Or better yet, bring an eco-bag with you whenever you shop! And that’s me, also reminding myself. I hate plastic bags because once they are inside my house, I hold on to them for a long time because I feel it’s better that they stay in my cupboard than them ending up in the sewers or the streets. And in my cupboard they stay for months or years. They take up space! I was so happy when I had the chance to donate plastic bags for a recycling project last year because I was able to finally let go of bags of plastic bags with the assurance that they will not go to the landfill or the sea. I always remind my family (and myself!) to say no to plastic bags and to be consistent about it. Tip: keep a foldable eco-bag in your daily handbag! 2. Buy in bulk – Buying individually packed items can mean you bring in more plastic packagings into your home, so if you can, buy in bulk and preferably, those in re-usable containers. This might be a little hard to do especially if you are on a tight budget and can only buy small items at a time so just do your best to choose those that are not wrapped unnecessarily. 3. Stop or avoid buying items made out of plastic materials – plastic can take between 10-1000 years to decompose so there is a big chance that the plastic bottle you are using will outlive you. So what happens to them after being discarded? They end up in landfills or the sea, slowly poisoning our earth. Choose those that are in glass jars or bottles. Better yet, buy items that are not wrapped. 4. Re-use materials even the plastic ones – going zero-waste does not mean throwing out everything in your house that is made out of plastic. It means re-using them as many times as you can then turn them into something else that’s useful when it’s original use is no longer an option. Example, your old and broken dipper can be used as a flower pot instead of tossing them out. 5. Mend clothes or buy from thrift shops instead of buying new ones – the fashion industry is one of the most wasteful industries in the world, so before you buy that new pair of jeans, think for a minute and ask yourself, how many times in a year will you wear it? If it’s less than 5 times, it’s better to skip it. My kids have experienced wearing the same pair of shoes for 2 straight school years because I always buy shoes that are one size bigger to give it room for growth. They wear it until they no longer fit. Broken shoes are always brought to our neighborhood cobbler for mending and when they no longer fit, they are handed down to other family members/relatives. 7. Stop buying artificially flavored juice in tetra pak for your kids – a lot of moms usually buy tetra-packed drinks for their kids’ baon for school. Not only are these filled with sugar, tetra paks are not bio-degradable and with very limited or no access to recycling plants, we toss them into the garbage bins and then they get tossed into land fills or end up in our water systems. It has been a very long time since I last bought tetra packed juice for my children and guess what, they do not miss it at all. They only bring water to school every single day. 8. Store and cook in portions. One thing that truly pisses me off is food wastage and this has always been a challenge for us at home and it pains me whenever we have to throw food out! When cooking, I learned that less is always better! You can also avoid food wastage but storing meat in portions so you don’t have to cook everything every time you thaw meat. 9. Re-use school materials – I go through my children’s school bags and materials at the end of every school year, salvage anything that I can and have my kids re-use them the next school year. My son has once used the same backpack for 3 years, and his bag from the recently concluded school year was my husband’s old laptop bag. 10. Stop buying cheap plastic toys – You know, the ones you can find in carbon and in your neighborhood talipapa. I learned this the hard way! My kid who likes going with me to the market would sometimes ask me to buy toys displayed in the rice stores and because they are cheap, I give in. Guess what, they easily break and usually end up in the trash can within a week or two. Just skip them. Not only are you wasting money, but broken plastic toys are usually very hard to re-purpose. Unless you have a thing for lamps made from headless dolls. Easy and doable tips, right? The good thing about constantly reminding yourself about the 3 Rs (Reduce/Re-use/Recycle) is that you become more aware about your actions and how they affect mother nature. How about you? Do you exert the effort in reducing your global footprint? If you have other tips, share them with me in the comments!